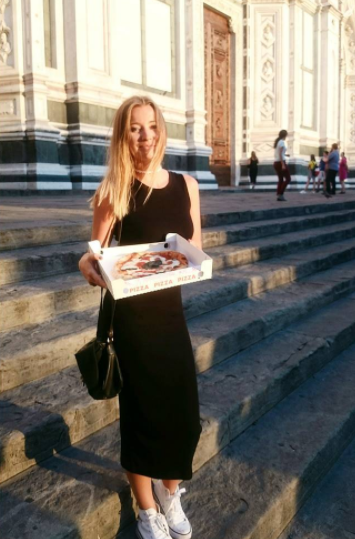 So I have to confess – it was my the most often meal (I described best pizzas in Florence here). Therefore, it’s difficult for me to point out other delicious restaurants, which Florence offers. 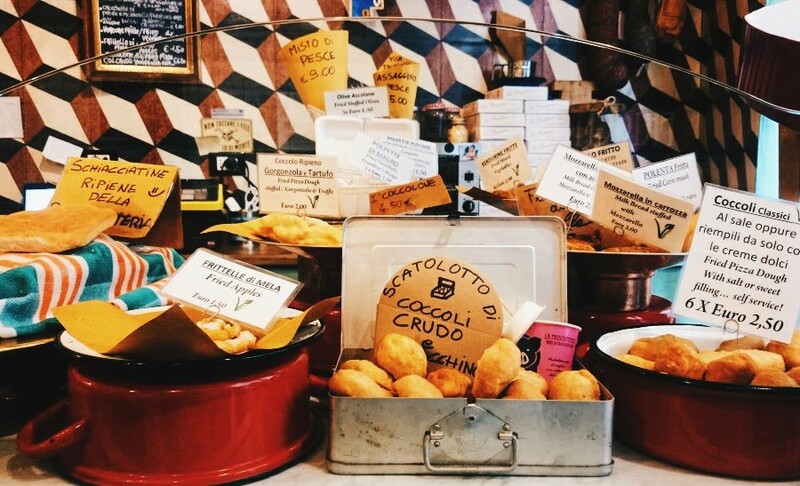 Anyway, if you wonder where to eat in Florence – there are a few places that I would like to recommend to you and I swear it’s worth going there. All’Antico Vinaio is without question number 1 in Florence. It’s something you can’t miss. Their schiacciata (typical Tuscan bread) has stolen my heart from the first bite. I must confess, that in the beginning I didn’t trust this place. Why? 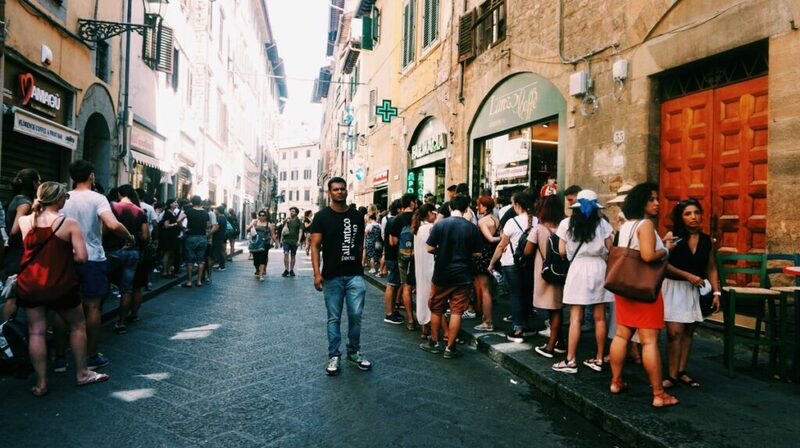 Because of a herd of tourists, waiting in the line for panino. Did they go out of their mind that they got in queue, which finishes in the end of the Via dei Neri?! The first time I got over it, I believed that it’s a madness, besides I was very hungry and I didn’t want to wait an eternity. I was outraged, I didn’t understand this phenomenom. Until the next time.. When I decided to play this situation out more strategically. 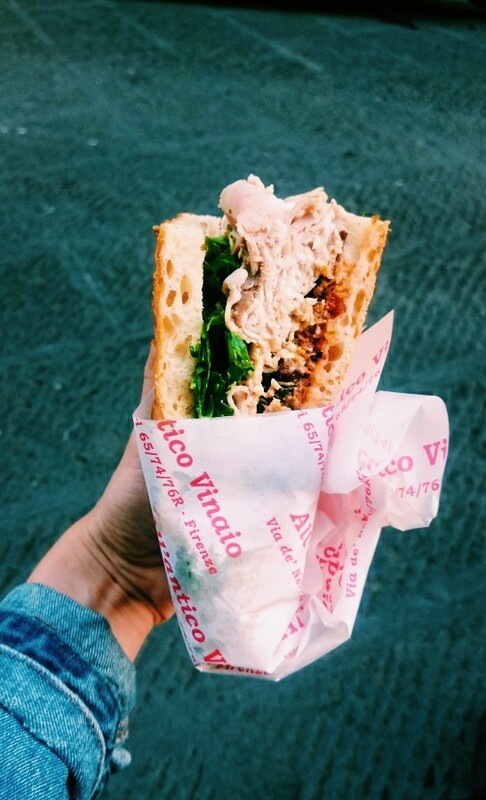 What if I go to All’Antico Vinnaio at the time when all tourists are after the lunch and they’re resting? Next day I went there about 5 pm and it was actually empty! So it was the moment of truth. When it comes to choosing the right panino, I didn’t have to think a lot. With “L’inferno” it was a love at first sight – there’s porchetta (pork), grilled vegetables (zucchini, aubergine), arugula and spicy sauce. It costs 5 euro but is veryyyy big! If you’re not hungry enough I recommend you to share it with someone – you can ask them to cut in half. After tasting this I understood everything. 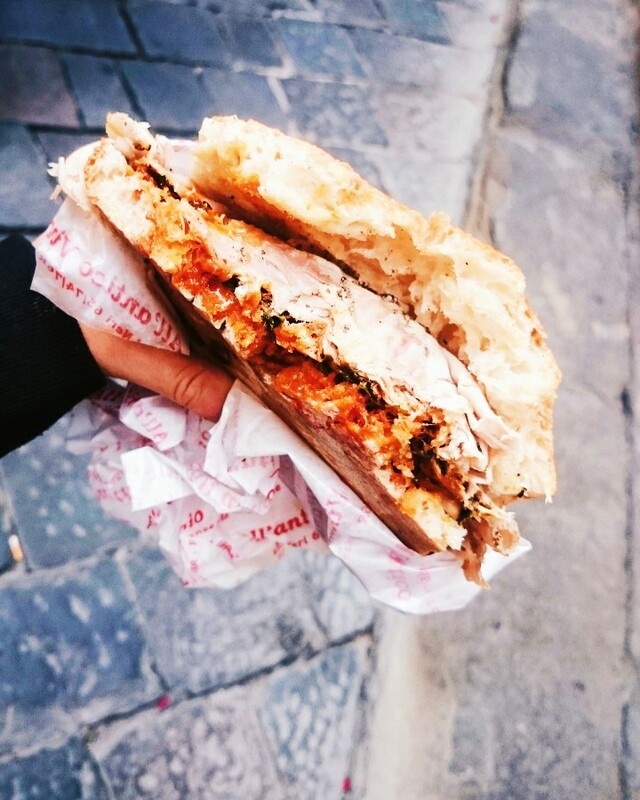 Now you should understand it too – it’s the best place for having a panino. This place is unbeatable – the highest quality, the amazing combination of flavours + very efficient service. 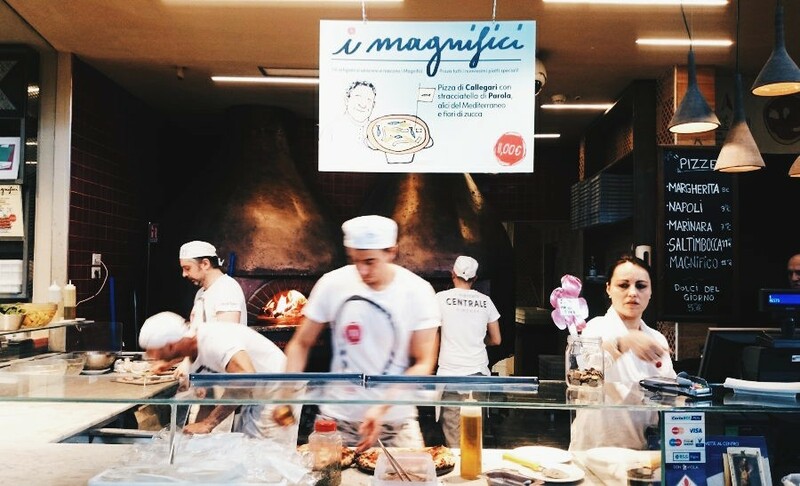 Despite the lines, everything goes very quickly – guys working prepare the food in a flash! 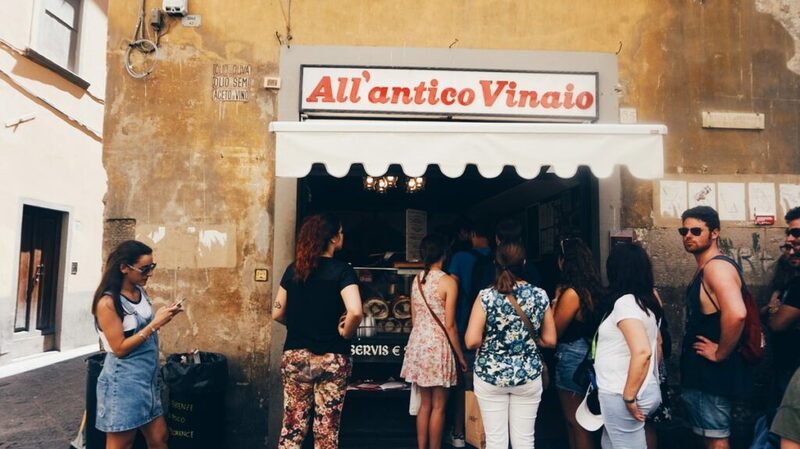 So if you wonder where to eat in Florence… you must definitely visit All’Antico Vinnaio!! 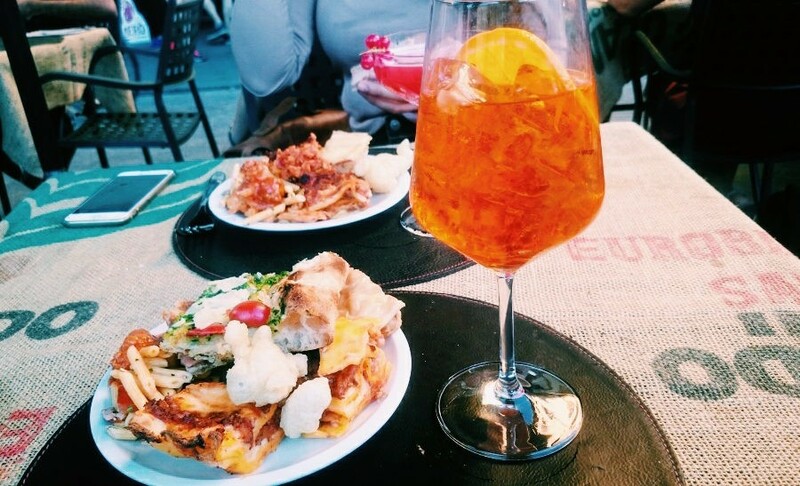 A very important custom among Italians is aperitivo. It’s not only the tradition – it’s primarily a lifestyle. They meet with friends about 7, 8 pm in order to have aperitivo – it means to chill out with a glass of wine or drink. 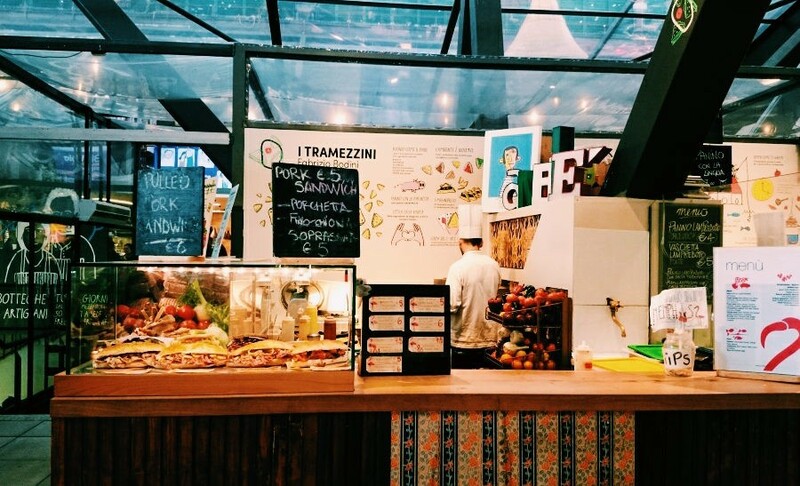 At the same time, when you go inside the bar, you’ll find the buffet with typical Italian snacks – pasta, pizza, different kind of salads and other things. 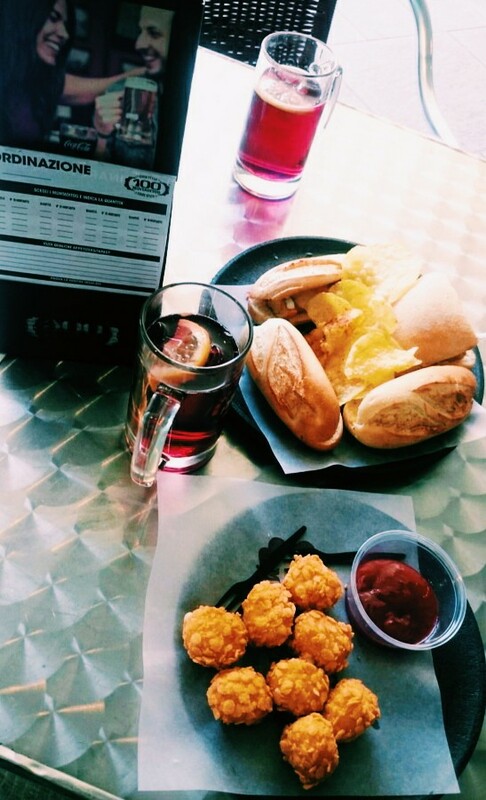 When you order the drink, food is included in the price of it during the aperitivo time. 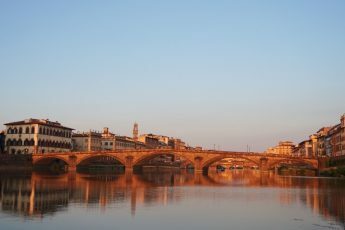 In Florence it’s quite expensive – depending on the bar, usually it costs 10 euro. 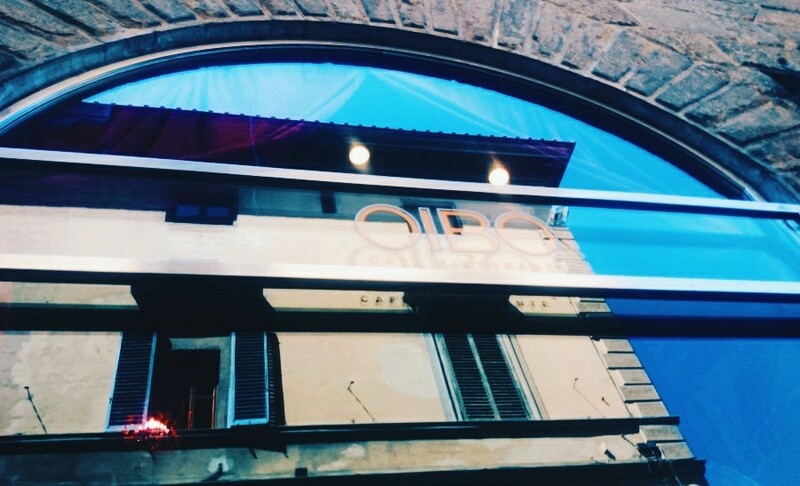 Anyway, I would like to recommend you the best places for aperitivo in Florence! It’s the best place for experience Italian aperitivo. It’s located 10-15 minutes from the Santa Croce district. There’s the biggest choice of delicious food and amazing cocktails. I was too hungry to take a photo, so you must take it on faith and go there to try this paradise! It’s located on Santa Spirito square. The choice of snacks it a bit smaller than in Kitsch, but still it’s very worth recommending. It’s a very nice place for the aperitivo, located in front of the Santa Croce Church. Do you feel like having an aperitivo in a fancy, Milanese style? 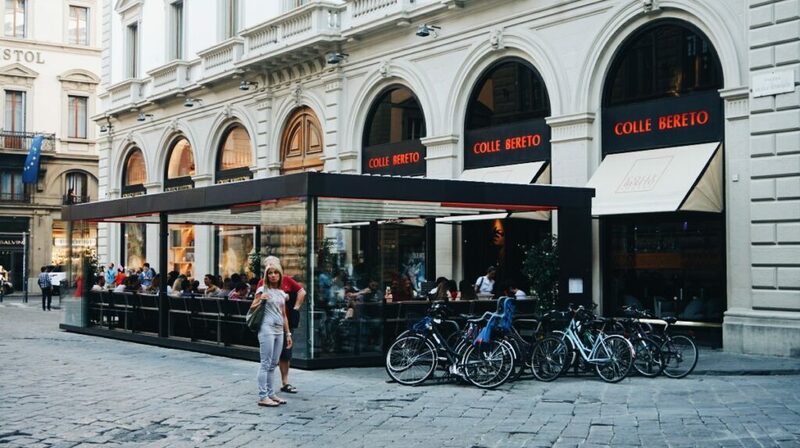 So you should visit Colle Bereto- nice place situated on Piazza Strozzi, close to Piazza della Reppublica. 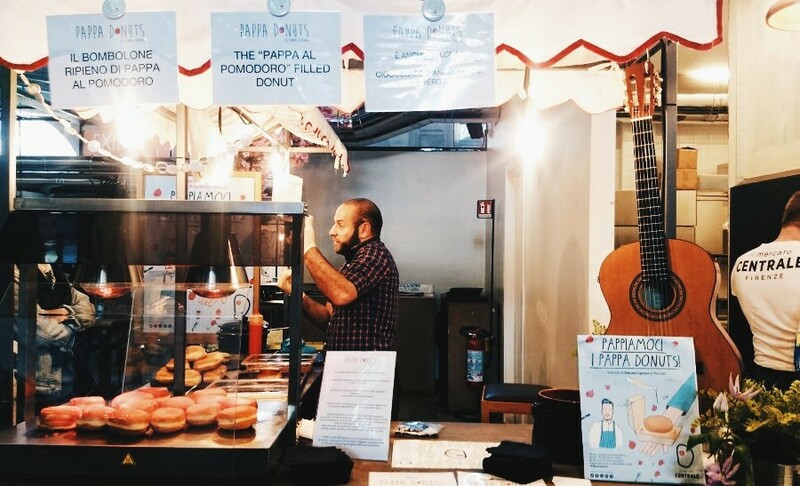 Mercato Centrale is located close to the San Lorenzo. 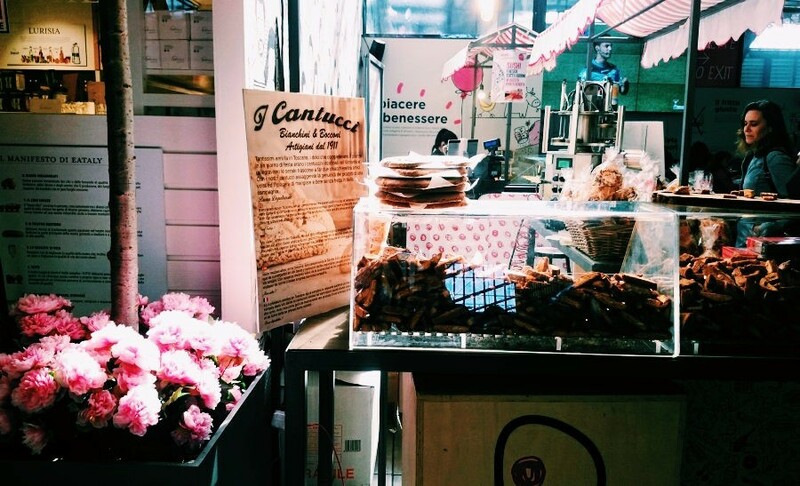 It’a a market where you can find different kinds of Italian food – both salty and sweet things. If you would like to try various Italian dishes, it’s a best place to do – everything is located in one place. The interior of place is very nice. I had to try a pizza of course – I must say that it was very tasty, yet for the price of 8 euro (Margherita), even in Florence it is too much. You should go there and try everything – this place is worth the attention. Curiosity: this building was designed by the same architect as created Galleria Vittorio Emanuele II – Giuseppe Mengoni. That’s a lovely place, in a vintage style. 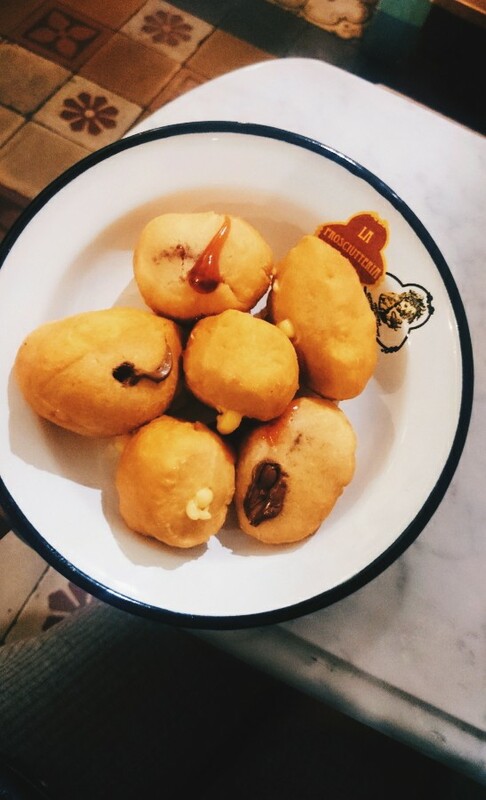 You can try there different combinations of the fried in a deep oil dough, resembling fried pizza or panzerotto. 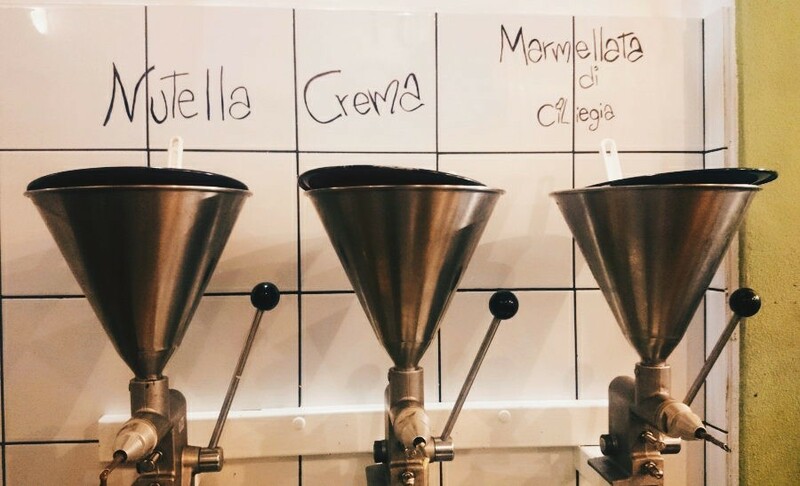 You can order something sweet – in this case you can choose a filling from the machines (look at the pictures below) – nutella, cream or .. and fill your dough with it by yourself. 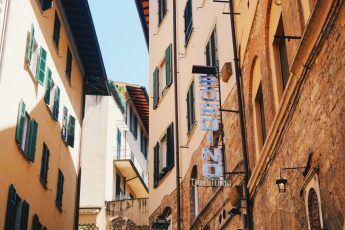 If somehow you’re bored of Italian food, or you’re just an Erasmus, that tried almost all in Florence, check out this place. 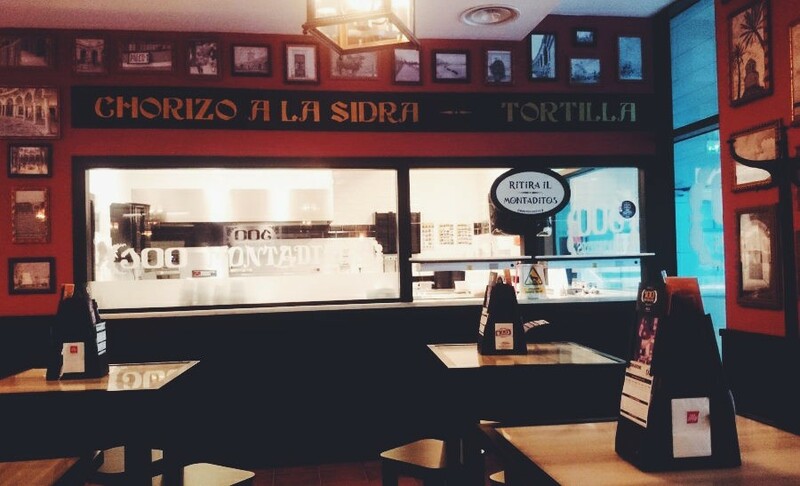 It’s my favourite Spanish place, located next to the Novoli University. 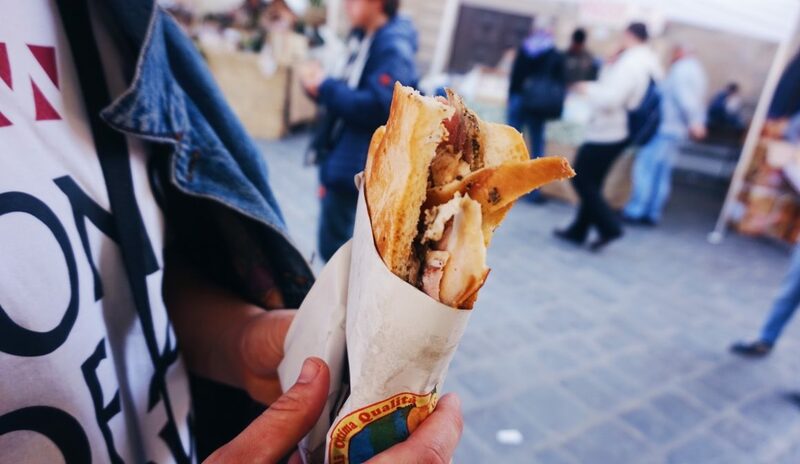 If you’re an Erasmus (or you just want to try Spanish snacks), you should go there! 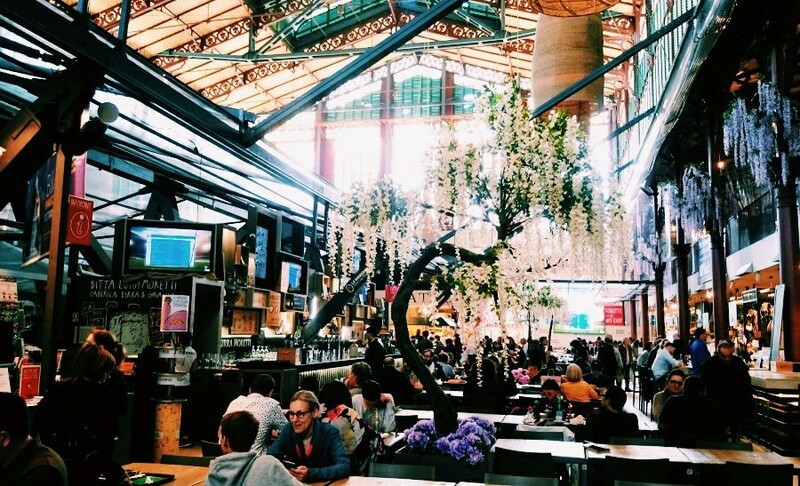 Prices are low, delicious snacks and spanish wine “tinto de verano” – I strongly recommend to chill out there. Do you agree with my recommendations? 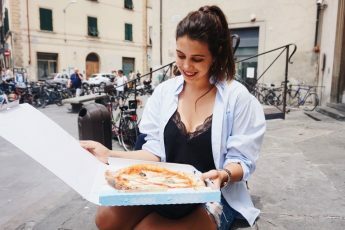 Where to eat in Florence in your opinion? Let me know! By the way, check my Instagram, where I review pizzas almost every day! Take a look at my Facebook page in order to be always up-to-date!